Can Home Adaptations Be Factored into Serious Injury Claims? There are multiple facets to recovering from a serious injury and making home modifications, or even being forced to move into a new home where needed accommodations are included in the structural design can sometimes be a part of the rehabilitation process. Many individuals who have been involved in serious accidents are left with debilitating injuries that leave them unable to carry out day-to-day activities in the same manner as before and need this type of assistance. In cases where one’s accident injuries are attributable to the wrongdoing of someone else, many choose to file personal injury claims for compensation for damages they have incurred as a result. What a number of personal injury victims who seek help from a Newport Beach legal expert do not know beforehand is that home adaptations may also be factored into serious injury claims. A Newport Beach legal expert who is also experienced in life care planning can effectively help serious accident victims in the area to determine what should be included in damage claims in addition to compensation for pain and suffering, medical expenses, and other damages. Even transportation requirements, whether one has to make modifications to their current vehicle or has to make special arrangements to get around, can be factored into some claims. The Life Care Solutions Group is available to help those who need information about their medical and legal options following a serious accident injury. 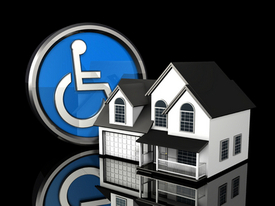 If you have been seriously injured in an accident and now require home adaptations to accommodate a disability, the Life Care Solutions Group may be able to help you. Contact us today for a free medical and legal evaluation from a certified professional.